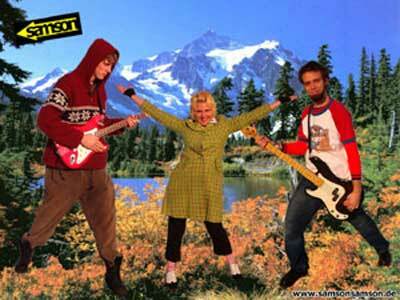 APRIL 2005: I am just rehabilitating myself back into polite British society once again after a week spent slumming it in the studio with noisy monsters of electro indie rock Samson, and what a week it has been! 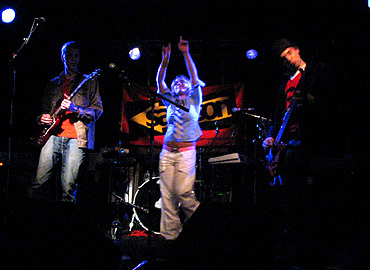 Samson are ostensibly a Munich-based band although their workshop is a dilapidated factory space in the market town of Dorfen, some miles from the city. Samson have been recording three new songs: the almost conventionally rocky "Boxer", the experimentally hip-hop inspired "Reptile Returns", and the insane sonic anarchy of "Dog Raiser". And then, as if spending a week with these guys at the controls of their new E.P. wasn't honour enough, I was invited along to a fantastic gig at Munich's Orange House venue, given loads of free booze and then invited up on stage to play bass on an old Monophobia track "Devil's Eye". A definite high. 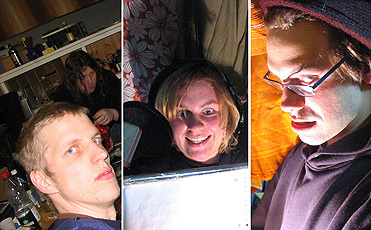 Samson comprises founder member Hendrik Richter on samples, programming and guitar and Flo Sochatzy on bass. 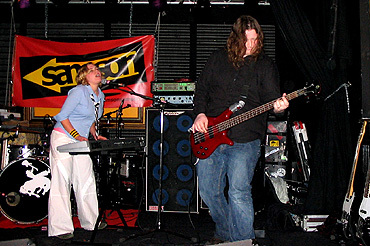 The band is fronted by former Monophobia keyboard player/vocalist Zizi Schuh who was brought in by Samson's now ex-guitarist and co-founder Stephan in 2003, as a temporary replacement for their absent singer Luitgard. Luitgard never returned to the band and so Zizi stayed and, by the boys' own admission, took things up a notch or two in terms of presence and promotion. 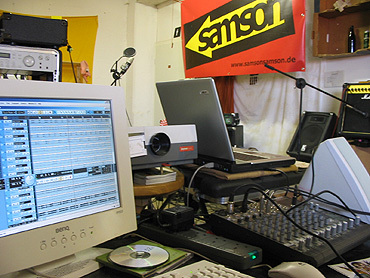 2007 Update: The three recorded tracks have finally surfaced on Samson's new short album "Home", which starts off with two fantastic new tracks "Undisposable" and "Dreier" which you can hear on their website www.samsonsamson.de.